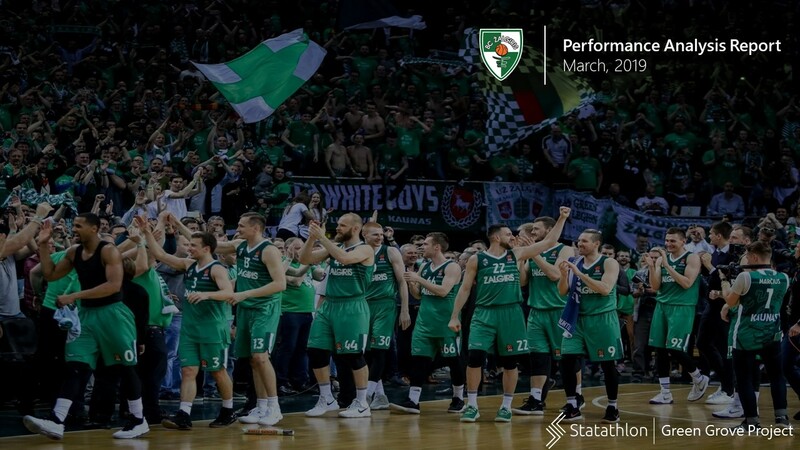 The Green Grove Project evaluates the In-Game performance of Zalgiris Kaunas in the current Turkish Airlines Euroleague Basketball season (2018-19). 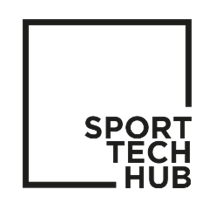 The project has many different aspects and approaches, and its outcomes can be utilised by coaching, training or scouting staff of basketball teams, as well as journalists or data scientists. 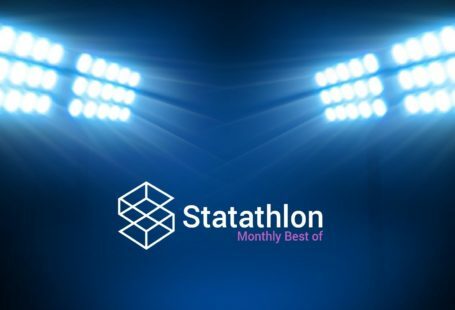 The Statathlon analytics team use more than 20 basic and advanced indexes to create the report. 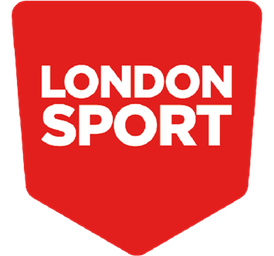 Some of them have been created by Statathlon, whilst others are applied for the first time to Euroleague Basketball. Provide useful recommendations to the coaching staff regarding their team’s actual strengths and weaknesses. 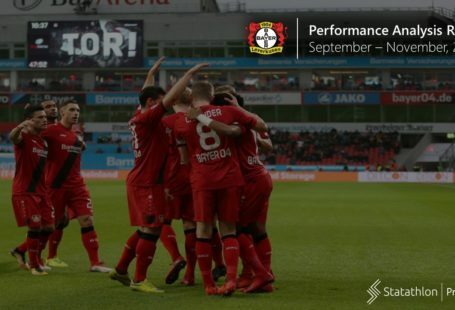 The outcomes of the analysis can be used to determine if there are any fields where the team should pay more attention in training, or during pre–game preparation. Better understand the impact of the various statistical indexes, and identify the correlations amongst them. Find out how certain players perform in games against teams with different characteristics, in order to accordingly adjust defensive and offensive tactics. Assess each player’s performance in order to find their strengths and weaknesses, as well as their overall progress throughout season. Explore the team’s performance during specific phases of a game (early minutes, clutch time, etc). This would help the coaching staff manage the players more efficiently in relevant situations. 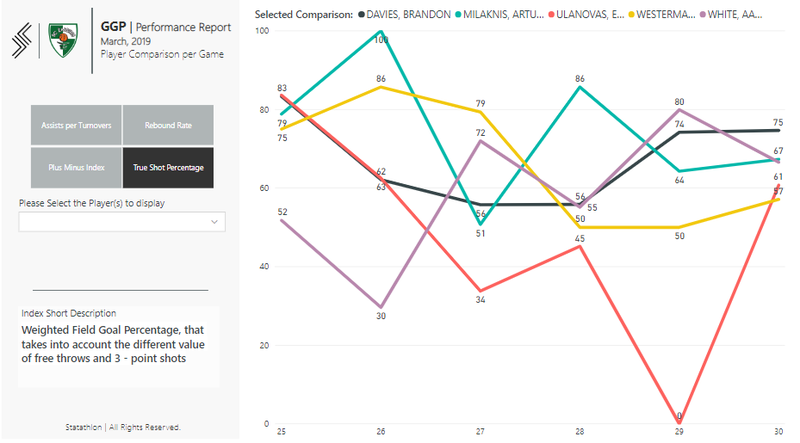 Every month, Zalgiris Kaunas’ team and individual performance will be displayed below through detailed charts. In addition, a series of spider charts will provide the opportunity to compare a player with his teammates in 5 different categories. 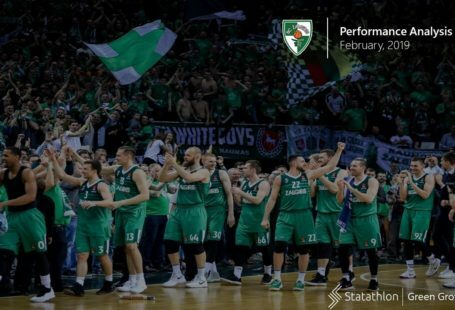 The sample focuses on the top-5 players in average playing time during the last month (1 player per position) and their performance in some of the most essential indexes as well as a comparison between Zalgiris and its opponents. You can access the previous monthly report here.